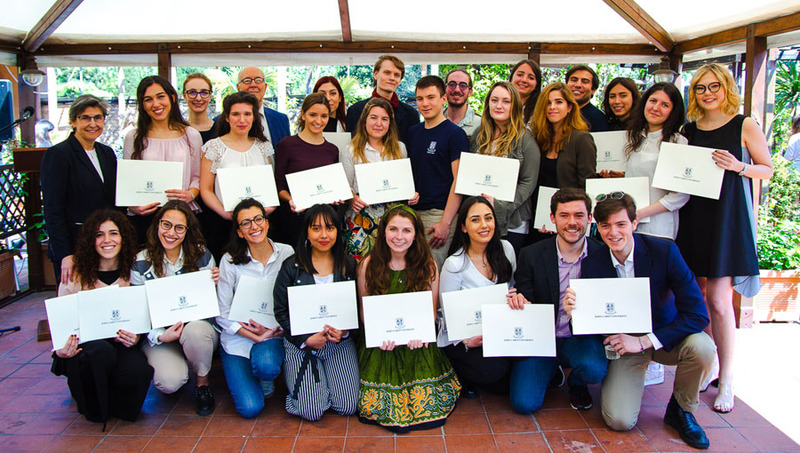 On June 22 2015, John Cabot University President Franco Pavoncello welcomed enthusiastic writers, young and less so, affirmed and aspiring, their family, friends and teachers gathered to celebrate these budding young writers. He also thanked this year’s Writer in Residence at John Cabot University’s Summer Institute for Creative Writing and Literary Translation, Professor Edmund White, for presenting the awards. Congratulating all participants, not only the winners, on their efforts to continue to reach out to the global community through a common language. Communication of one’s thoughts and ideas in the most readily understood language is fundamental to becoming a protagonist in the world. President Pavoncello encouraged these students to continue to cultivate and nurture that creative voice in English. JCU’s Institute for Creative Writing and Literary Translation sponsors this annual writing contest for high school students whose primary language of instruction is not English. Students read excerpts from their work and were presented with prizes (gift certificates) by the JCU’s Summer Institute Writer in Residence, world-renowned Edmund White. Learn more about the Department of English Language and Literature at John Cabot University in Rome.